While it has been two months since adding to my Trumpwatch series, I have in that time posted three times on Trump related matters. 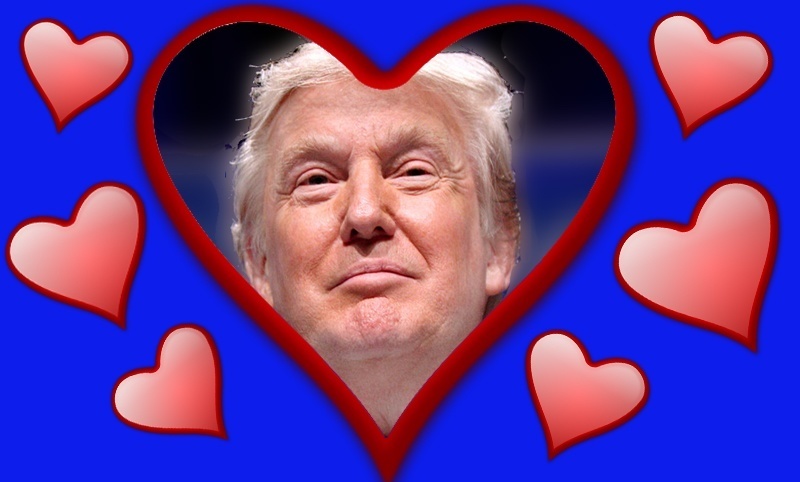 While it may seem I am obsessed with the man, and my own instinct is NOT to credit any one person with so much importance, I feel that in the case of Donald J Trump this is difficult to avoid. While there is a lot of non Trump related stories to write about, e.g. the Brexit debacle in the UK and the upheavals going on right now in France, for like it or not, his presence looms ever large. The disappointment that after two years of negotiating Britain is looking to sell out to the EU on its Brexit deal is palpable and not only are there those of us that wished we had someone of the ilk of the Donald negotiating on our behalf, the likelihood he would have come up with a much better deal has inspired many to dig their heels in on the matter. As for France, when it comes to comparing President Trump and President Macron, it is like that of chalk and cheese, with Trump the nationalist and Macron the globalist. It became quite apparent that some of the protestors were calling out Trump’s name; for the feeling of some, maybe many, is that Trump would have addressed grievances is a way Macron hadn’t / wouldn’t. Without wanting to rewind the gramophone record, I am a supporter of Donald Trump, not because I don’t recognize the grievances many of my anti-Trump friends have concerning Trump’s character etc., but because he stands for many of my values and concerns in a way #whatabout never did and #whatif never would. I have written about these in my “Donald J Trump – bad, mad or good?” e-book in case readers want to know what these are. While I would like to see more progress made when it comes to draining the swamp and on certain policy matters, e.g. war in Yemen, some slack is needed given he is still relatively naïve when it comes to playing the political game (although I suspect he has learned a lot) and is surrounded by those, including from his “own side”, who not only don’t support his policies but also seek to undermine him. The fact he is flawed is brought home every day it seems. For example the press conference held with his political enemies Chuck Schumer and Nancy Pelosi regarding shutting down (or not) of government and building the wall, he didn’t strike me as particularly presidential, but then he does get things done which imho are for the greater good! And for the record, I suspect he did do hanky panky and tried to buy off the lady(s) concerned (but not with campaign finance). While he has many faults, including lying, narcissism, has long been noted, screwing America is not one of them, and is why I love the guy. Because he isn’t being brought by the globalist elites is another. We are now in that lull period when we wait for the Democrats to take control over Congress, begging the question of what we might expect, noting the Republicans still control the Senate. The long running Mueller investigation still continues, threatening much but finding little it seems of consequence. Thus empowered, one wonders what the Democrats will do to try and bring down Trump and thwart his agenda. But on other hand, and partly because I check out sources like Drudge, QAnon and Infowars, there are the umpteen sealed indictments waiting to be served on the creatures of the swamp, often in very high positions, and umpteen revelations of hitherto suppressed information revealing all sorts of villainy by the Deep State, and exposing an assortment of corruption in the political class, cover ups of past events, shenanigans in mainstream media, academia, government agencies and financial institutions, all waiting to come out. No one not in the know, which is probably everyone who reads this, will know what is about to happen, but my gut instinct (spiritual discernment for one of my antipathetic friends) says it is likely to be surprising, shocking and monumental. But my job is to be a watchman, which my Master encourages His followers to be. He also gives them His wondrous gift of peace, tells them to trust the one who is in control rather than fret and to pray His will be done. I should pontificate less and pray more, especially that the truth that sets us free will be revealed, as surely it will be. Update 17/12/18: Questions continue to be raised over Trump’s character, including in exchanges I have been involved in since first posting this article. I suppose we all have a right to an opinion and we all see things differently based on all sorts of factors. I have given my view, based on evaluating the evidence, in my “Donald J Trump – bad, mad or good?” e-book. A paragon of virtue POTUS is not and if he has truly repented to past misdemeanors he will confess these and make restitution if at all possible, just as the tax collector Zacchaeus did when he met Jesus. But if we are comparing him with past presidents or who might have become president if he hadn’t, he is better than most by a proverbial mile, not because he has less irritating character traits that can’t fail to hit one in the face but because he has done more good and less harm to the world at large. I have little doubt if most of the alternatives had become POTUS, past hidden wickedness which is coming to light would remain hidden and the nightmare move toward globalist tyranny would escalate. If for no other reason, I am glad Trump is president. As for the 60,000 sealed indictments allegedly waiting to be served on high level swamp creatures actually do get served, it is a matter of wait and see, although one thing is sure it will all come out when they and we face the Almighty on Day and Judgment and the only thing that can save us is the Blood of Jesus. Sadly, Christians who should know better when it comes to seeing the evil that really is in the world would rather focus their prejudices on Trump and are like the blind leading the blind. I have little doubt with all the disturbing stuff going on in the world, we are in for a rocky ride in the months ahead. I suspect too it will be so in inter-personal relationships. Our hope and trust must be in the Lord., and it is ever thus. I have no doubt that I will be taken to task on these comments. As for my reply, watch out for the next Trumpwatch installment; for I have little doubt there will be big developments. No one would deny Donald Trump’s weak points and faults but compared to the Bush/Clinton Republicrat Mafia he is a breath of fresh air, especially as the alternative to Trump was WW3 kicking off in Syria. Unfortunately most British people cannot perceive this because they are drip fed their opinions by the ultra liberal media. On the other hand though, as a long term consumer of alternative news sources, as well as mainstream ones, I would see Alex Jones in his current state as a total sell out to the interests of one particular country in the Middle East and I have heard many people who used to be associated to Infowars says as much. Also I have noticed that he acts like a rabid maniac whenever he is interviewed on mainstream TV and totally unlike that on his own show. This is a betrayal of all his viewers who may refer to him. By acting like a nut and coming out with wacky stuff – only when interviewed by mainstream media – he is making his own viewers look like lunatics to those who have never watched his show. I feel that infowars buys people’s attention with real information that is not always easy to get elsewhere, but this comes with two costs, the first being Alex Jones’ habit of hysteria mongering and the second is his the misdirection that comes from always deflecting attention from the involvement of his Eastern Mediterranean patrons in the same Globalist movement that he criticizes.